Interesting facts about Sigiriya | Welcome to Sri Lanka – it’s truly a Paradise. Sri Lanka is one home for many ethnic and religious communities and with so many different cultures intermingling with each other; it is a series of festivities and celebrations throughout the year. Despite its size, it surprisingly has a vast population of 20 million people packed into this tiny island It must be said they are a happy bunch of people. Sigiriya, probably the most visited tourist destination in Sri Lanka, is situated in Matale district near Dambulla. It can be reached along Colombo- Habarana highway by turning towards east from Inamaluwa. Sigiriya Rock Fortress, also known as the Lion’s Rock is the most striking portion of Sigiriya. This astonishing feat of engineering and construction was built by an obsessed monarch in the 5th century and is definitely worth seeing at least once in a lifetime. This ancient fortress stands on top of a gigantic rock of 200 meters high, making it hard for the enemy to make a surprise attack on the kingdom. 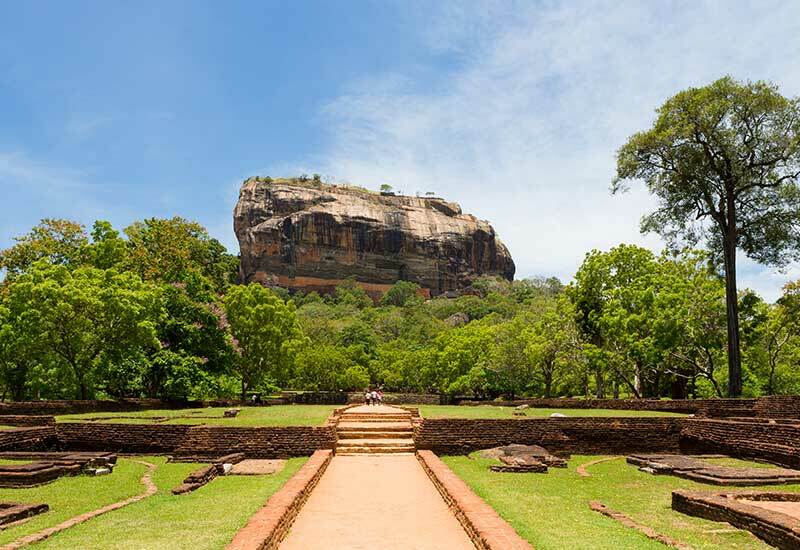 The story surrounding it is that In 480 AD, A former Sri Lankan ruler; King Kasyapa built his castle atop this rock. ‘Sigiriya’ is coined from the Sinhalese word ‘Singha’ ‘Giriya’ “Lions Paw” which marks the entry point to the castle atop. It’s a UNESCO World Heritage site and is supposed to be the eighth wonder of the world. It’s worth a visit whilst holidaying in Sri Lanka. There are many things to do in Sigiriya other than climbing the Lion’s Rock. If you are staying in a hotel like Water Garden Sigiriya it would be easier for you to reach other popular places like the museum of Sigiriya, Pidurangala rock, Elephant Safaris etc.